According to a recent Nielsen survey, only four in 10 consumers admit to even a partial understanding of nutrition labeling. And that’s not to say anything about their distrust in what they do understand—namely, all the marketing “blasters” food companies slap on their packaging. But there’s a problem. With so many of these messages on the shelf, no scale or comparison against which to judge them, and the food-labeling loop-holes that result, such ‘healthy’ labeling claims are confusing at best and, at times, downright deceptive. Either way, it can be devastating to your brand. Just ask the companies behind Hunt’s® tomato sauce or Nutella® hazelnut spread. Does that mean finding a better way to communicate nutrition information is a branding pitfall? Absolutely not. On the contrary, nutrition labeling presents a great opportunity to build your brand’s affinity with the confused consumer—so long as the solution is carefully conceived. Simple Is Good. Creative Is Even Better. Psychologists Peter Helfer and Thomas Shultz of McGill University in Montreal recently found that the standard U.S. food package label rated the worst among four nutrition-labeling schemes. 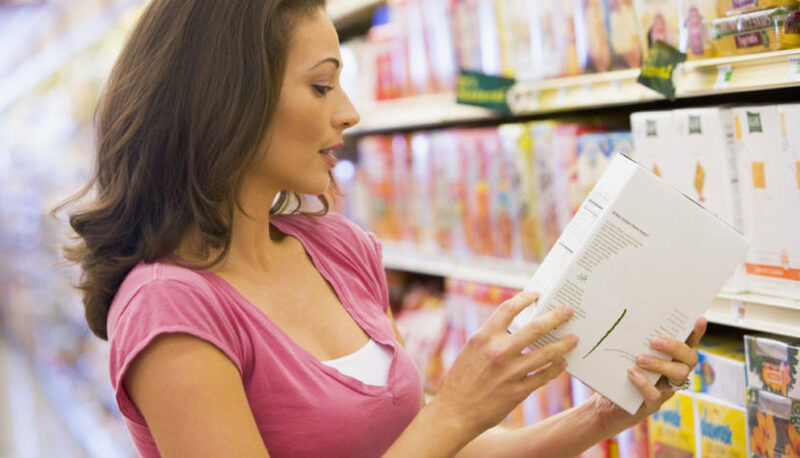 In a head-to-head, the standard “Nutrition Facts” label led to the least nutritious food-buying decisions made among consumers, while, ironically, requiring them to take the most time to review and understand. On the other hand, the study found a simple one-number label called NuVal was the “most usable labeling scheme” on both time and nutrition impact. More detailed information on this nutrition-labeling study can be found here. When adding nutrition-labeling information or related messaging on your package, keep a few key points in mind. Don’t take anything for granted when it comes to your customers’ knowledge or perceptions. Assume they know nothing. Introducing any kind of new concept like a nutrition label will likely require some consumer education. After all, their confusion is what started all this. Consumers will need a consistent scale, or starting point, on which to judge the claims your label is making. Consideration of a brand-wide nutrition scale, instead of a generic “fat-free” claim, which means virtually nothing to consumers—“It’s low-carb compared to what? A bagel?’—will take an investment of time to develop. All this to say food innovation, as a means to lift your brand, isn’t only about introducing new products. A healthy look at every angle of opportunity can include something as subdued as your package’s label. In this case, as much as any, giving consumers a useful tool to make a better buying decision for themselves and their families can go a long way to build valuable brand trust and deliver on higher consumer brand expectations. Ready to Reinvent Your Nutrition Labeling? Keep it simple and give NewPoint a call. Bulk…What Does It Mean For Your Brand? Is the Farmers Market a Key to Growing Your Food Brand?